Building a walk-in cooler or freezer can be like buying a car — perhaps a bit daunting at first. You have multiple makes, models, accessories, add-ons and customizations you’ll need to determine. Any good car salesperson will ask a few questions before you choose a car: what do you need the car for? How long is your commute? What features are must-haves? 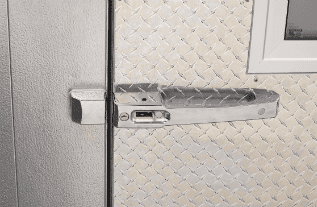 Similarly, there are three important factors to consider before building a custom walk-in cooler or freezer that will inform the rest of your decisions. How the cooler or freezer will be used is a key piece of information we will need to build the perfect custom walk-in. Believe it or not, what is being stored can make a significant impact on the walk-in’s design. From obvious design choices like shelving to more complicated factors like where the evaporator fans need to be built-in, your walk-in application is one of the most important considerations. One important aspect is where the walk-in will be placed within your facility. Once the location is chosen, there are other factors you’ll need to evaluate, such as physical obstructions like windows or columns or how the walk-in will fit into the kitchen flow. All these factors impact walk-in design and should be thoroughly noted. 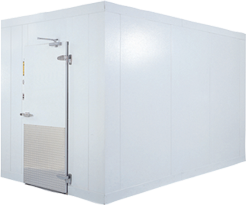 One additional factor to consider is when you’ll need the walk-in cooler or freezer to be delivered. Ideally, the sooner you can let us know timing, the better, so we can keep our production schedule up-to-date. We’ll schedule a delivery and installation time with you up front. From design to manufacturing, from shipping to installation and operation — Everidge is with you every step of the way. If all this information sounds overwhelming, don’t worry! Our dealers or consultants will discuss your situation and help you make decisions about what options are best for your particular needs. Their experience and training allow them to quickly assess your circumstances to ensure success. Ready to take the next step and build your custom walk-in cooler or freezer? Find your closest Everidge representative to get the process started.